At 9:26 a.m., UPD took a report in reference to a vehicular hit and run at South Georgia Medical Center Parking Structure. At 3:50 a.m., an officer issued an individual a citation for underage possession of alcohol at Sustella Parking Deck. At 3:21 p.m., an officer took a report in reference to theft by taking at Oak Street Parking Deck. 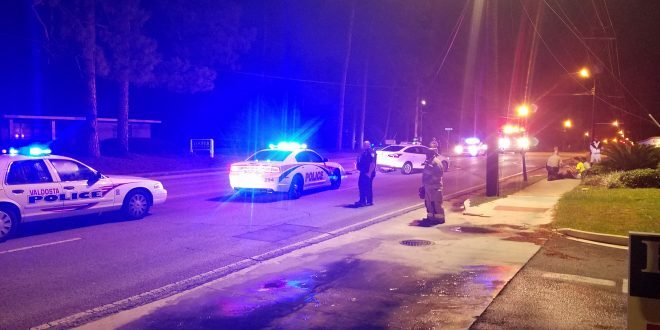 At 9:44 p.m., a VSU student was arrested on the front lawn of West Hall for the possession of drug related objects, possession of tools for the commission of a crime and misdemeanor possession of marijuana. At 3:30 p.m., an officer took a report in reference to a burglary at Hopper Hall. At 8:44 p.m., an officer took a report in reference to a theft by taking in Sustella Parking Deck. Previous People Poll: What do you do when class is cancelled?